It’s obvious, walking through Mount Vernon Presbyterian, that this is not a traditional school. In an area called the Hive, girls in plaid skirts and boys in coats and ties sit at small round tables, laptops open, fingers tapping away, while a quiet buzz fills the room. It’s reminiscent of a crowded, well-lit Starbucks, albeit without the coffee. On the wall of a corridor, a giant whiteboard is covered with students’ handwriting. A few steps further, three lab spaces offer students state-of-the-art equipment such as 3-D printers, laser cutters and woodworking tools. How does your physical space – building, furniture, art -- reflect the mindsets you want your community to develop? In this “maker community,” students from preschool to high school bring their questions and ideas and turn them into reality, building prototype solutions for real-world challenges. The school’s model is based on “design thinking,” an approach in which people follow a creative process that begins with a goal they want to reach rather than a problem they want to solve. This approach is often applied to complex problems that don’t lend themselves to linear thinking. Since embracing design thinking in 2010, this small, private Christian school in the Atlanta suburbs has transformed itself, becoming a model for innovation in education. In 2014, Mount Vernon was named a Changemaker School by Ashoka, an international nonprofit that fosters social entrepreneurship and social change. 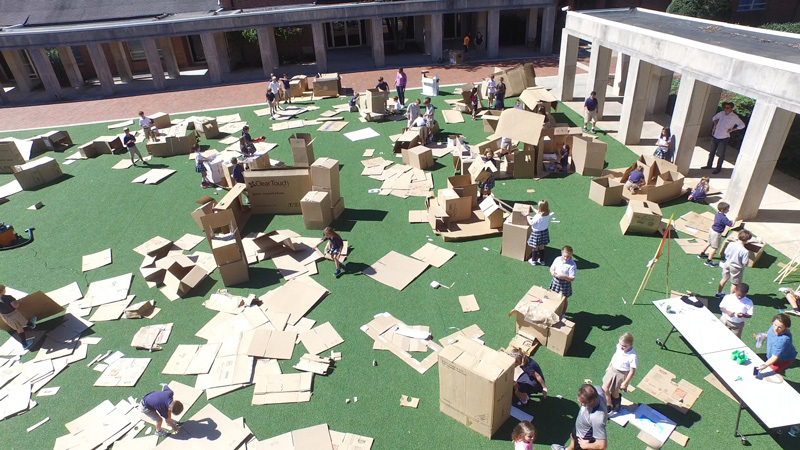 “Design thinking gives teaching and learning purpose,” said Shelley Clifford, Mount Vernon’s head of lower school. “Learning math to learn math is a good thing, and quite frankly, it is hard enough as an isolated skill. But learning math so that someone can calculate the temperature a premature baby needs to maintain to live increases engagement, interest and passion. Thinking like a designer is the key to the teaching model for all children at the school. In addition to providing students with problem-solving skills and the opportunity to create and test solutions, the school seeks to foster empathy. The designer -- or student -- makes a connection with the user to better understand and meet the user’s need. “Empathy is the linchpin for design thinking,” said Brett Jacobsen, Mount Vernon’s head of school. “We know students will use their minds. We want them to use their hands so their thinking becomes visible. What is your institution’s animating purpose? How does it shape the services you offer? Ten-year-old Elliott McGoldrick, a fifth-grader at Mount Vernon, said this is what she enjoys most. Fostering empathy is also a key goal of Ashoka, the social entrepreneurship nonprofit, and was one of the factors that helped Mount Vernon become one of 60 U.S. schools designated in 2014 as Ashoka Changemaker Schools. Mount Vernon was selected because of its culture of empathy and student change making, its emphasis on youth leadership and its eagerness to challenge conventions in education. The goal of Mount Vernon and other Changemaker Schools is not just to teach skills but to help children become better citizens of the world. “Together, these schools showcase the importance of empathy -- a skill which former Secretary of Education Arne Duncan calls ‘the new literacy’ -- and its connection to effective teamwork, problem solving and leadership,” said Tim Scheu, the director of engagement management at Ashoka Changemakers and a member of Ashoka’s U.S. Empathy Team. Changemaker Schools are “the leading edge of a movement to modernize our education system and broaden curricula from the current more narrow focus on ‘academic skills,’” he said. When a third-grade Mount Vernon class visited the local public library near the school’s campus, students noticed a “no bathing” sign in a library restroom. Confused, the students asked their teacher what it meant. 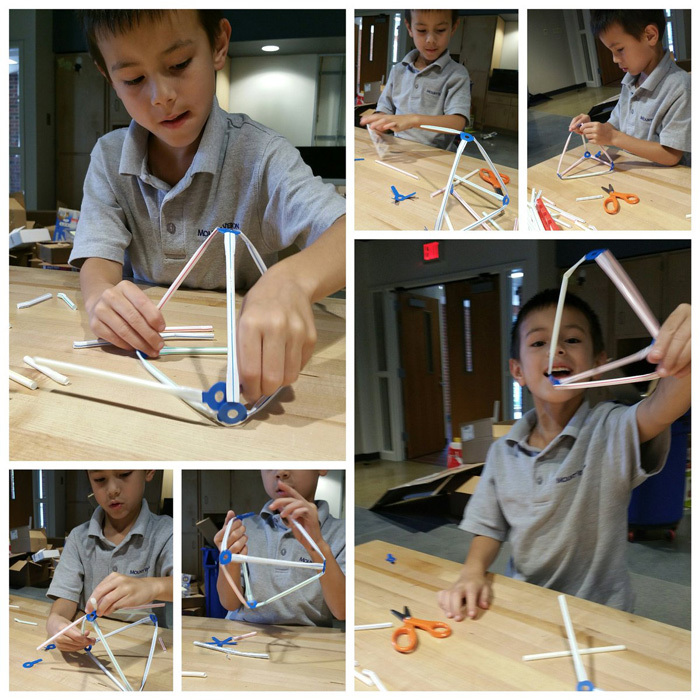 But instead of simply answering the question, the teacher expanded their inquiry into a design thinking challenge. Students followed up by conducting interviews at the local police department, as well as two local nonprofit organizations focused on helping the homeless. The findings surprised them -- and informed the solutions they came up with. How do you try to connect with “users” to try to understand and meet their needs? A key finding was that 94 percent of the homeless population didn’t feel “homeless,” because their sense of “home” was not lost. Though they no longer lived in houses (some lived in cars or hotels), they did not feel alone -- they still had their families. This prompted the students to change the name of their project from the “homeless” project to the “houseless” project. One solution the students developed was a food truck-style prototype to address basic hygiene, dental and health care needs. The cardboard models featured ideas like setting up providers such as dentists or barbers in trucks, which would allow them to take their services to the target population. Based on the students’ research, the school also opened its fellowship hall during the two-week break at Christmas, allowing people without houses to stay in the warm and inviting space. Partnering with Family Promise, a nonprofit organization that helps low-income families move toward rehousing, students worked hard to design a space that felt more like a hotel than a homeless shelter, creating partitions for each “room,” along with handmade cutouts of fireplaces and Christmas trees. Even their parents got involved in the project. A small group fanned out in the local community to build relationships with the homeless people they encountered, sharing coupons and blankets and connecting people with service and job opportunities. But design thinking isn’t for every situation, said Mount Vernon creative director Trey Boden. For example, if you wanted to know the average travel times and routes of people’s commutes in your city, he said, you would most likely not use design thinking. But if you wanted to inspire people to use alternative forms of transportation, that would entail a much more complex and ambitious process. It’s in the complexity, he said, that design thinking as a teaching method challenges a traditional approach. Students, teachers and even parents engage in projects that are intended to benefit society. Mount Vernon head of school Jacobsen likes to say that Jesus is the “greatest design thinker of all time,” and Boden offers as an illustration the story in Matthew 8 of Jesus healing a man with leprosy. As you try to reach a goal, do you allow the questions to become more complex before resolving them? Are your questions big enough? In other words, as in Matthew 8, are you curing a disease or creating community? This reinforces the Christian values that are part of Mount Vernon’s mission, Jacobsen said. The school’s mission statement stresses “inquiry, innovation and impact,” which are grounded in the Christian values of understanding and relating to others, having love for others, and making an impact for others, he said. The focus on empathy and meeting the greater human need is a welcome learning approach for parent Stephanie McGoldrick. “Today, more than ever, the world needs love and compassion,” said McGoldrick, who has second- and fifth-grade students at the school. “Can’t we just listen to each other and take a moment to walk in each other’s shoes and understand how it is to be in that situation? Jacobsen introduced design thinking at Mount Vernon in 2010 after attending the National Association of Independent Schools conference in San Francisco. In a session led by George Kembel of Stanford’s Hasso Plattner Institute of Design and Kim Saxe of The Nueva School, he was inspired to make Mount Vernon the first preschool-12 institution in the Southeast to implement comprehensive design thinking systemically, throughout every class level and grade. But in addition to changing the model in the school, he wanted Mount Vernon to push beyond its walls with the establishment of the Mount Vernon Institute for Innovation. Set up as its own nonprofit, the institute now provides leadership in transformational learning and school redesign. Its core work is to help generate and then amplify the thought and action leadership at the school, hosting learning events, designing innovative educational programs, and consulting with schools and organizations working for their own transformation and innovation. What are you learning in your context that could help leaders elsewhere? The institute serves as a research and development lab for Mount Vernon and beyond, similar to that of a teaching or research hospital, said Bo Adams, the institute’s executive director. “We all function as practitioner-researchers, who provide great learning situations for our own students while also conducting action research to help ourselves and others implement the best practices and research that we know to be great for learners,” Adams said. At the institute’s annual Fuse conference, educators have an opportunity to work with Atlanta nonprofits on real-world design thinking challenges and are introduced to the DEEP (Discover, Empathize, Experiment and Produce) method, a design thinking process developed by Mount Vernon and the institute. At the end of the conference, a session called “Bring This Home?” helps participants figure out how to integrate the approach into their classrooms, meetings and teams. John Z Nittolo, superintendent of Green Hills School in Greendell, New Jersey, said his school made changes as soon as his team returned from the conference. The immediate goal of the Fuse conference is to help educators develop a better understanding of design thinking -- equipped with the experience of having made an impact on a local community and empowered to continue such work in their own institutions and communities. The ultimate goal? To design a better world. How does your physical space – your building, your furniture, your art -- reflect the mindsets you want your community to develop? Design thinking is the animating purpose of Mount Vernon. What is your institution’s animating purpose? How does it shape the services you offer? Mount Vernon says empathy is the linchpin of design thinking. How do you try to connect with “users” to try to understand and meet their needs? Does this process of connection encourage you to examine your preconceptions, assumptions or biases? How might empathy help you not just solve a problem but get to the heart of it? Design thinking can insert ambiguity and interdisciplinarity into a challenge. As you try to reach a goal, do you allow the questions to become more complex before resolving them? Are your questions big enough? In other words, as in Matthew 8, are you curing a disease or creating community? What are you learning in your context that could help leaders elsewhere? How do you share what you are learning and extend the reach of your work? What peer networks would help you learn from others?